Where is Uluru, Australia’s most famous natural icon? Uluru is Australia’s most famous natural icon is located in the southwestern corner of Australia’s Northern Territory and is often called Ayers Rock. Almost at the geographical centre of Australia, this monolith of red sandstone rises out of the Central Australian desert and is such a rarity that UNESCO has placed Uluru on its World Heritage sites list. Sunrise and sunset are particularly magical times to see Ayers Rock when it glows a deep red hue. Despite its remote location, Uluru attracts thousands of tourists each year. There’s simply no other geological feature like it anywhere in the world. The area around Uluru was settled tens of thousands of years ago, and although ‘discovered’ by the white man in the 1800s, Uluru and Aboriginal culture are still very connected today. The Dreamtime represents the essence of Aboriginal society, culture, traditions and spirituality. For the local Anangu Aboriginal people, Uluru is a place a great spiritual power. It is many things to the Anangu, including the centre of the universe and the home of the Earth Mother. There are a number of rock paintings of the Anangu, which are seen as a historical record of the dreamtime period. Certain rock outcrops represent ancestral spirits. The Anangu believe that by simply touching the rocks they can communicate with dreamtime and receive blessings from their ancestors. Uluru remains sacred to a number of Aboriginal tribes in the region who still perform rituals in the caves and make new rock paintings. Each side of Uluru has a different creation story associated with it forming the basis of Aboriginal culture in this important part of Australia. 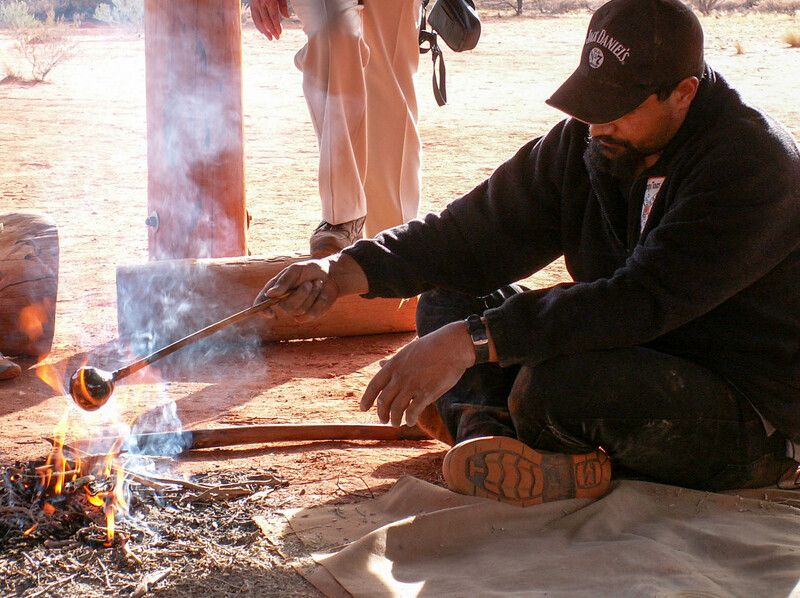 Cultural Centre: Visit the Uluru-Kata Tjuta Aboriginal Cultural Centre to learn more of Uluru and Aboriginal culture. 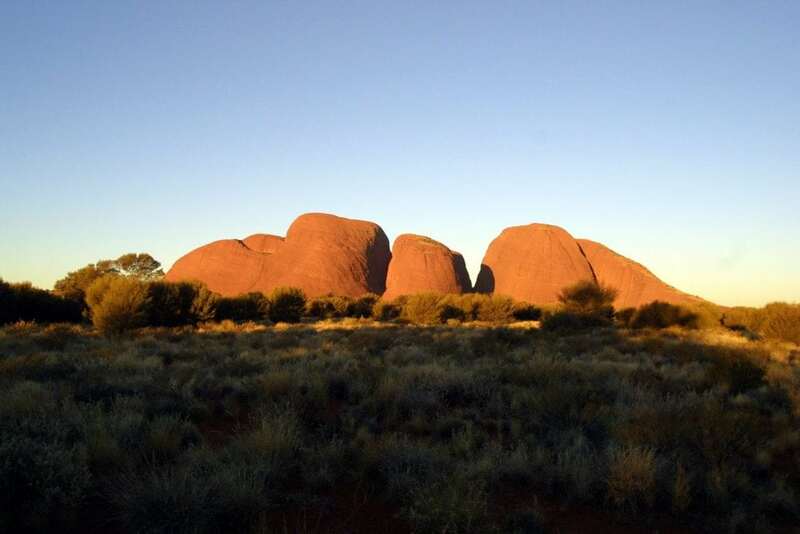 The Anangu people here tell visitors stories about their ancestors and the Rock in general. There are also arts and crafts available for purchase in the souvenir shop. 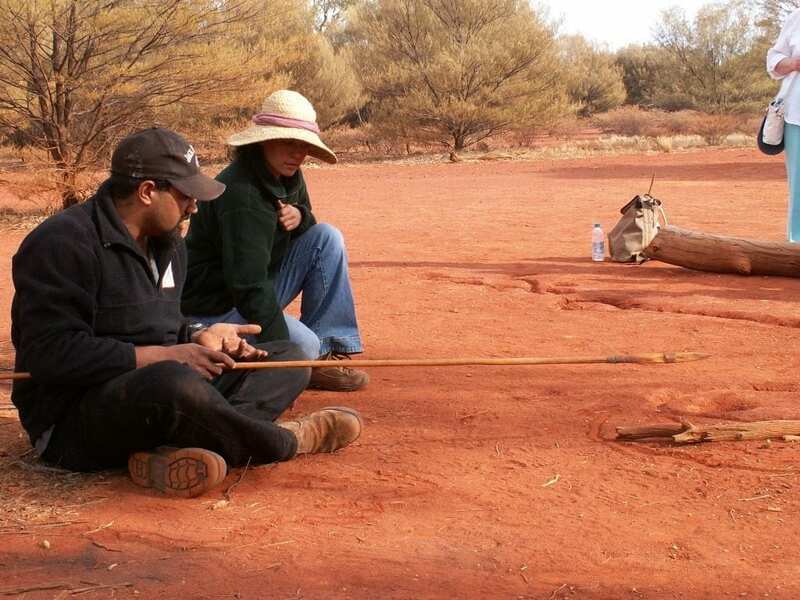 Anangu Cultural Tours: Anangu Tours with Aboriginal guides provide interesting talks about the local Aboriginal culture and Uluru. 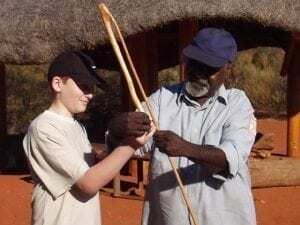 The guides also demonstrate traditional bush skills. Visitors are taken along the ancient Liru Walk as they learn all about the Aboriginals’ ancestors. Sunrise and sunset at Uluru: Experience incredible sunrises and sunsets at Uluru. Sunrise at Uluru sees the terracotta-coloured surface turn orange-red and at sunset, Uluru glows with blue and purple hues. 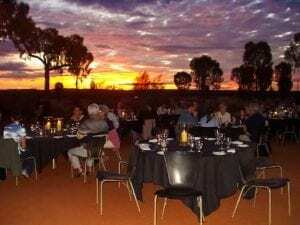 Sounds of Silence Dinner: Enjoy a beautiful star-lit meal overlooking Uluru and Kata Tjuta at sunset. Astrology experts talk about the constellations in the southern Australian skies. Stargazing: In the Australian outback skies are so clear and there is no artificial light to interfere with the dark night sky. Stargazing at Uluru is a ‘must do’ on your bucket list. See the famous Southern Cross constellation. Camel Tours: Enjoy a sunrise or sunset camel trek through the surrounding desert to a viewpoint overlooking Uluru. Helicopter Tours: Experience a unique bird’s eye view of Ayers Rock, with the added option of visiting the Olgas and King’s Canyon. These homelands are home to dozens of unique birds species and desert living mammals which can be seen as you walk around the Rock. The Uluru Base Walk is a 10km walk on a relatively flat dirt path, and can be completed in around 3.5 hours. The Liru Walk is approximately 4 kilometres from the Cultural Centre to the base of Uluru. It takes about 1.5 hours and you will see native plants and animals along the way. The Mala Walk is a light stroll to the edge of the gorgeous Kantju Gorge. Experiencing the natural beauty of the gorge is the highlight of this walk, which makes a nice complement to a walk around Uluru. Kata Tjuta are only 35 kms fromm Ayers Rock. Allow a couple of hours to explore this rock structure also. There are some spectacular walks through Kata Tjuta. Walk Kata Tjuta: Kata Tjuta, also known as ‘the Olgas’, is a land of 36 steep sandstone monoliths dotting a rugged yet surprisingly lush landscape. Like Uluru these rock formations are most spectacular at sunrise and sunset when the light seems to give them a magical red glow. Valley of the Winds Walk: Walk the Valley of the Winds Walk in Kata Tjuta is approximately seven kilometres making a loop to two spectacular lookout points. The entire Valley of the Winds Walk takes about three hours and is easy-going. Do it in the early morning to enjoy the solitude. Walpa Gorge Walk: The Walpa Gorge Walk in Kata Tjuta is an easier 2.6km stroll that takes in the native wildlife and plants of the park. Buses run to Uluru from Alice Springs regularly. Flights are available from Alice Springs, Cairns, Darwin or Sydney. Alice Springs to Uluru is just 45 minutes by air. Check Virgin Airlines or Qantas for current flight schedules. If you are planning to drive from Alice Springs, be aware Uluru is 450km (5 hours drive) from Alice Springs and 280km (3 hours drive) from Kings Canyon. The best way is via the Stuart Highway turning onto Lassiter’s Highway at Erldunda. The roads are sealed so you won’t need a 4WD to get there. It’s an extraordinary landscape of red sand, sweeping desert plains, weathered mountain ranges and some of Aboriginal Australia’s most sacred sites including Uluru and Kata Tjuṯa. You must experience our Red Centre. Watching Uluru change colours at sunrise or sunset is one of outback Australia’s greatest experiences. Have you experienced Uluru yet? What did you enjoy most?